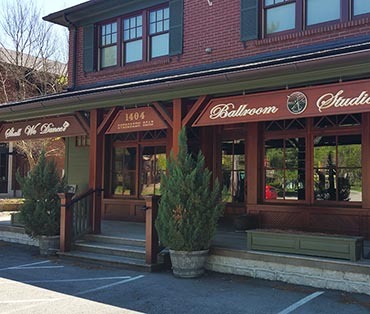 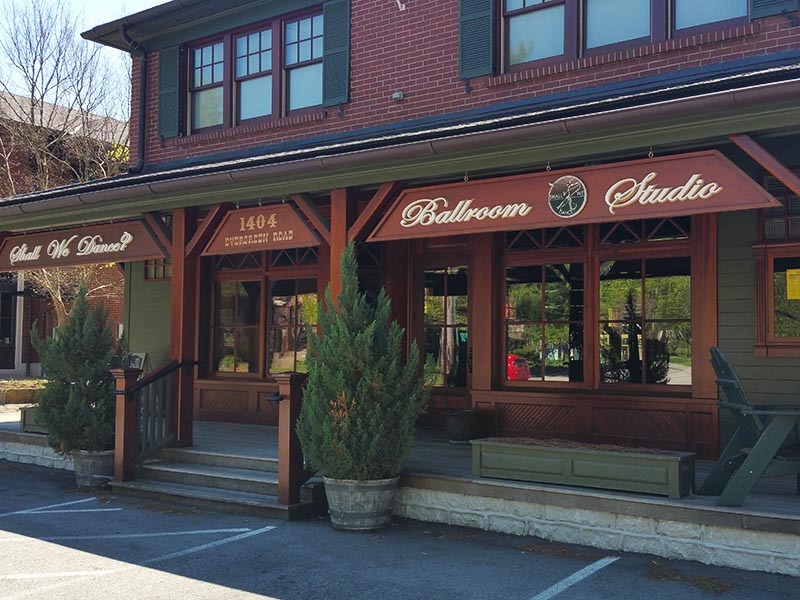 Our covered front porch and front of building gives the Louisville Ballroom the look of an old general store. 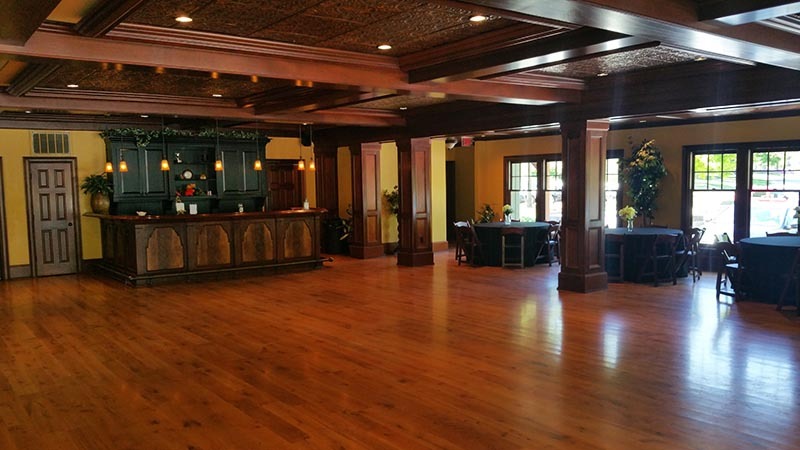 Built in 1939 and completely restored in 2009. 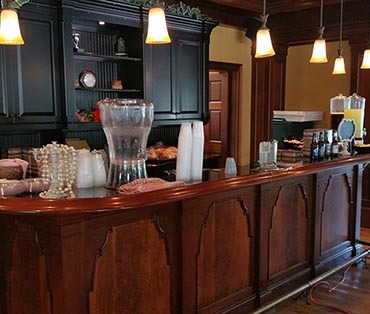 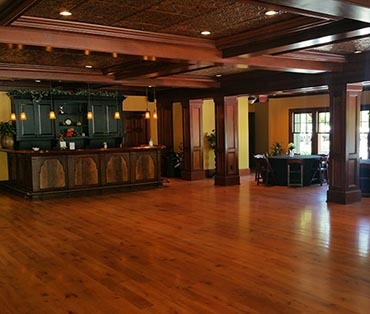 Offering 2300 square foot of White Oak Hardwood floor, our elegant ballroom has a vintage charm. 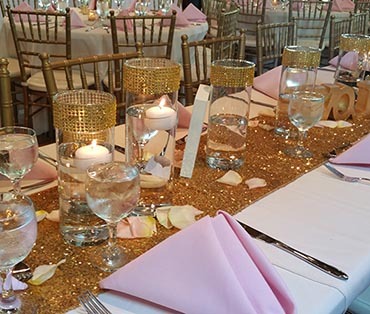 You can get married in the ballroom, have dinner, and then dance the night away. 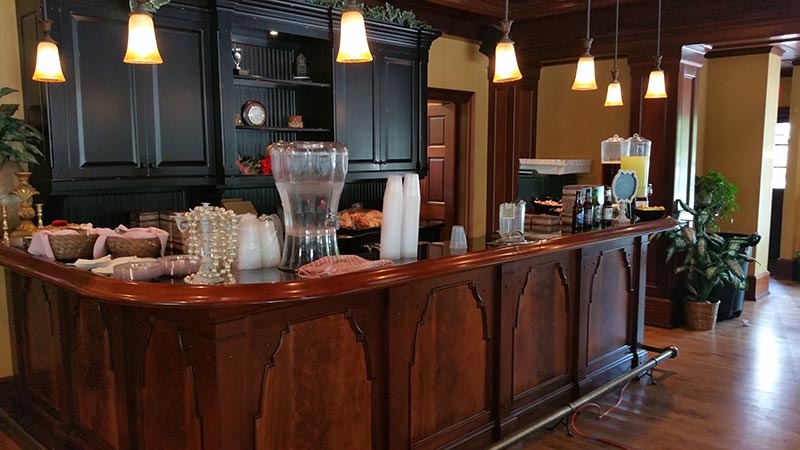 Full size black granite and mahogany wet bar with commercial ice maker and refridgerated beverage drawers. 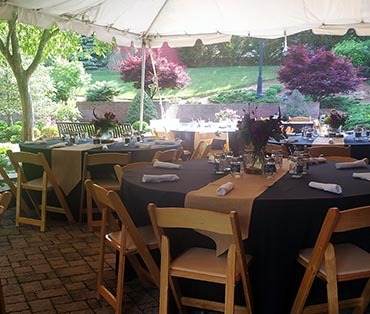 We can accomodate seating for up to 70 guests on our beautiful outdoor patio. 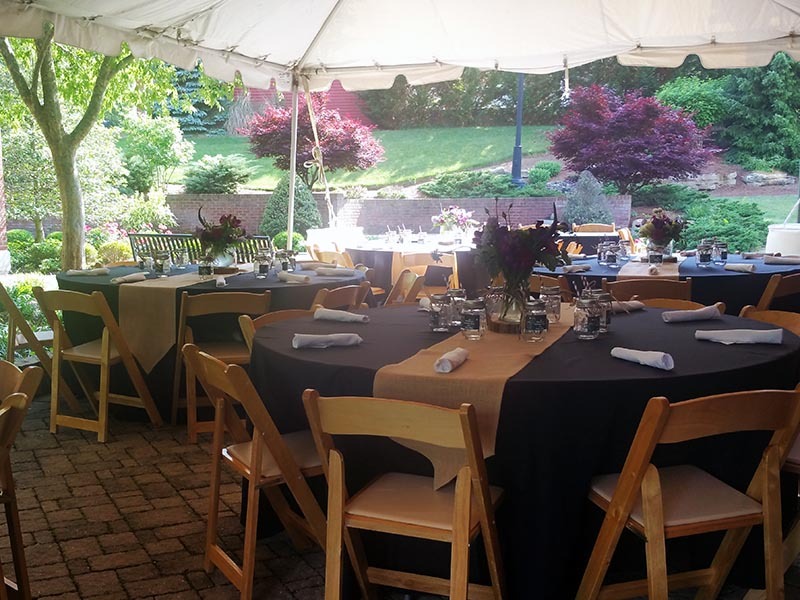 Many choose to have the patio covered and it is large enough to allow for large covered tents. 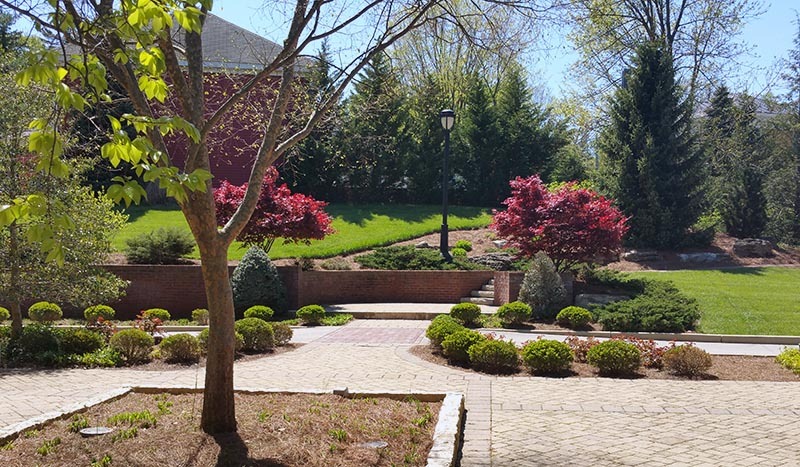 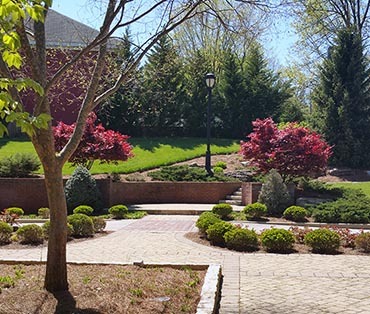 Our courtyard is perfect for ceremonies, the landscaping is beautiful, and the courtyard is included in the price of the rental. 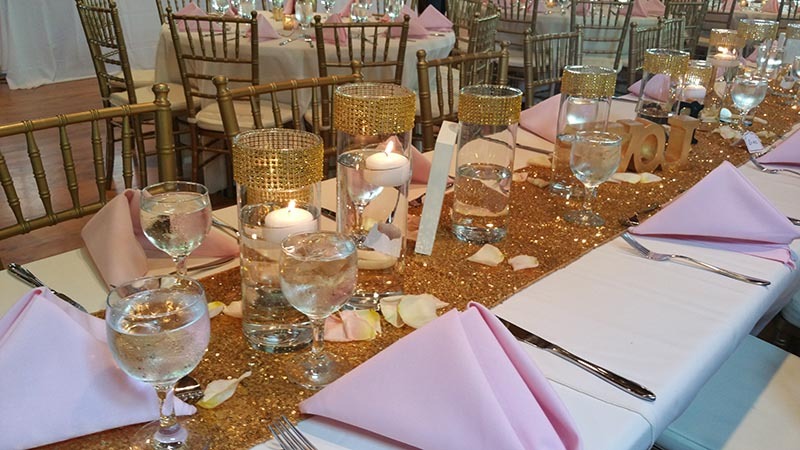 The Louisville Ballroom is perfect for any special event from wedding receptions, to anniversary parties, to holidays and more.